Does your little child love watching the “Beyblade” series and does he spend all his pocket money to buy Beyblades? 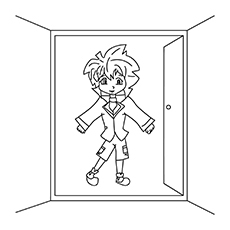 Are you looking for some Beyblade Coloring pages to surprise your little anime fanatic? Well, if you said yes, you’ve stumbled on the right page! Beyblade is a Japanese anime illustrated by Takao Aoki. The story focuses on a group of children who form teams to defeat others using Beyblades. 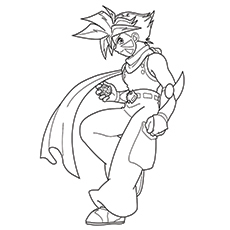 Here is a comprehensive collection of Beyblade coloring pages to print for your little Beyblade fan. Check them out below. 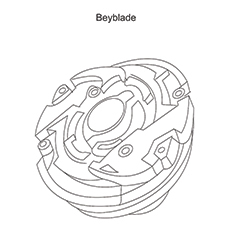 The Beyblade coloring page features a high performing top developed by Hasbro in 2000. The Japanese anime artist had written the “Beyblade” series to promote the sale of Beyblade, a spinning top range. It later went on to become one of the most popular toy lines, with over a 100 million units sold worldwide. There are several types of Beyblades, each having a unique set of features. Gingka Hagane is the protagonist of the Metal Saga series. He is the “Number 1 Blader in the World” and represents the season Autumn. Gingka has saved the world on three occasions- ending the Lightning L-Drago 100HF’s corruption, destroying the Spiral Core and defeating the God of Destruction, Nemesis. He gained an immense reputation for his actions and went for training overseas. Gingka is a lanky young boy with golden brown eyes, red, spiky hair, and a broken nose. He always wears a blue headband, which has the design of a Pegasus. 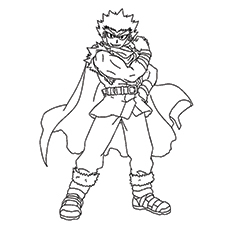 Ryuga, the Dragon Emperor, is the deuteragonist of the Metal Saga. He is a member of the Dark Nebula and is the arch rival of Gingka Hagane. Gingka could defeat Ryuga just once, but in all the other battles, Ryuga came out undisputed, which made him legendary. Ryuga was the strongest member in the Dark Nebula and even owned the Forbidden Bey. 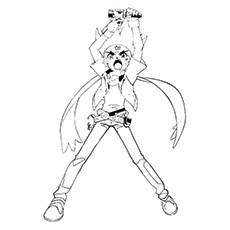 In Metal Fury, Ryuga was one of the Bladers of the Four Seasons and represented summer. 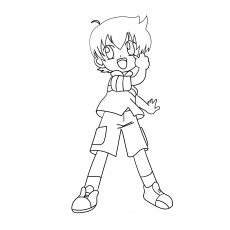 Another beyblade coloring sheet of a cute girl, Madoka Amano, one of the main protagonists of the Metal Saga. She is the daughter of the owner of the Beyblade shop. 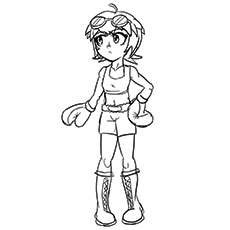 During her spare time, she analyzes and repairs the Beyblades. Madoka was one of the former members of the Team GanGan Galaxy, where she represented Japan in the World Championships. She is currently on the quest to find the Legendary Bladers along with Gingka. Madoka has short maroon hair, pink eyes and wears a dark blue skirt with navy blue socks and light blue top. Here’s another major character from the Metal Saga series. Kenta is Gingka’s best friend and stays with him through the good and bad times. He travels around the world just to cheer for him during the Big Bang Bladers. Kenta is a competent Blader. Initially, Kenta did not have much confidence in his skills. But things changed when he met Gingka. Now Kenta always gives his best shot to win. Kenta has a cute face with brown eyes and green hair. He appears in yellow T-shirt, a yellow shirt, and a pair of blue shorts. Yu Tendo is one of the recurring characters in the Metal Saga. He is a genius Blader, who likes having fun with his Beyblade. 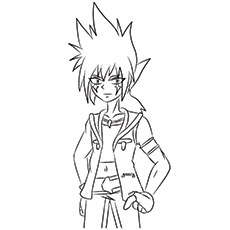 He is a former member of the Dark Nebula team, but he separated from them after they tried to destroy his Libra. He later became friends with Gingka and went on to become the substitute member of the Japanese Representative Team. Yu is a small, young boy with distinctive facial features. He has fluffy orange hair and green eyes. 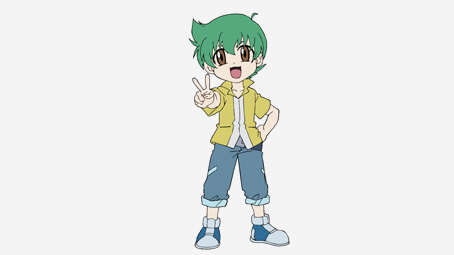 The beyblade coloring pictures of Tsubasa, one of the central characters of the Metal Saga. He is a secret agent of WBBA, who went undercover preceding the events of the Battle Bladers. Tsubasa later became the third member of the GanGan Galaxy with Yu Tendo, Madoka Amano, and Gingka Hagane. 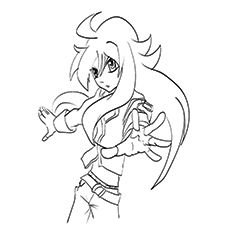 Tsubasa is a tall and muscular boy with a very long silver hair that he ties in a ponytail. His eyes were golden brown but changed to dark purple under the influence of Dark Power. He wears his Beyblade, Earth Eagle on his right forearm. Rago is the primary antagonist of the Beyblade series. Also called the Child of Nemesis, Rago is a sadistic, ruthless, cruel and fierce person. He was responsible for the Nemesis crisis that almost brought the world into destruction. He was also renowned as the Diablo Nemesis and the Legendary Blader, who fought valiantly against others. Rago is a pale-skinned character with long, black hair and dark red eyes. He wears a white undershirt, a purple gown and golden, armor like bracelets. Kyoya Tategami is one of the tritagonists of the Metal Saga series. 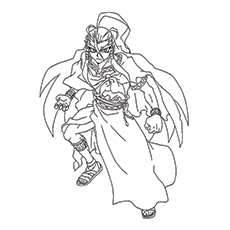 He is the second rival of Gingka Hagane and was the leader of the Face Hunters. But after losing to Gingka, he disbanded the group and joined Gingka and his friends. He was also the head of the African representational team, along with Benkei, Demure, and Nile. Kyoya is a tall teenager with a muscular figure and tanned skin. He has dark green, spiky hair and blue, lion-like eyes. Kyoya always wears a green, tattered coat with torn, black shirt. Meet Kai, the former captain of the Bit-Beast and Baldebreakers. Kai belongs to the noble family and is the heir to the Japanese military organization “Hiwatari Enterprise”. Kai is a serious and unsocial person but is one of the greatest bladers to play the sport. This proud and confident blader can sacrifice everything for Beyblade. Kai is also one of the most emotionally driven beybladers in the series. A remarkable feature of Kai is that his eye and hair color changes with every season. Our Beyblade coloring sheets will help your little fan travel to the land of anime and take part in the adventures of Modaka, Kai, Ryuga and Gingka while coloring the pages. We’re sure he’ll have a whale of time filling colors with his friends. Who is your kid’s most favorite character from the series? Tell us here.